Careful home staging is an established approach used to sell a home here in Orange County. Home staging benefits include less time on the market and more offers. Try out professional home staging for a faster home sale. Home staging is part of preparing your home for sale. Staging focuses on your home's presentation to buyers while showing off the features of your home with thoughtfully placed furniture and artwork so that your home feels more spacious and buyers can envision their lives in your home. Vacant homes spend more days on the market. As an agent in Tustin, I can help you stage your house so that your home sells as quickly as possible. Staging your house to sell shouldn't be thought of as an annoying experience. It can actually be a great time to let your creative juices flow. Together, we'll work to get an exceptional bid for your home's sale. Using my home staging tips will get your house sold more quickly in Tustin, California than without staging. Legacy Realty and Funding can help you create an inviting feeling that makes buyers to want to stay — permanently. Give me a call at 714-321-9800 and I can help stage your house to sell. 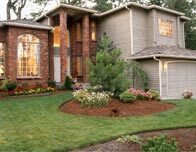 First, look at the outside of your house, better known as your curb appeal. Examine the exterior of your house from a quick glance from the street. What jumps out at you? What would've-been-eye-catching features seem to fade into the background? Knowing this helps us to choose what actions we can take to entice buyers from the street and into your home. If your home's exterior isn't as neat as possible with retouched paint and bright greenery we'll need to tackle those issues. 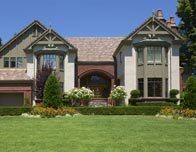 Follow the Curb Appeal Checklist and increase your home's final selling price. Could a buyer envision themselves enjoying game night in your living room, relaxing in your reading nook or hosting a dinner in your dining room? I want your Open House to pleasantly accept buyers and offer them a sense of easy living. I'll help you achieve this by recommending small improvements that enhance your house's features. I'll help you reduce the effect of anything that gives the illusion of clutter. Tabletops should be cleared off. Kitschy sculptures, souvenirs, family photos, and refrigerator artwork should get stored away too. You need to "generalize" the house so buyers can see it as their new home. I know exactly where a room's best features are and how to show them off. Enhancements that directly affect your sale price include fixable like pieces of furniture that should be removed, rooms that need neutral paint, carpet that needs to be replaced, fixtures that need replacing, and windows that need cleaning. I'll make sure your home is likable and that it's friendly, steering clear of "offensive" or "personalized" hues on the walls and furniture. And if none of your belongings are there, you can try renting furnishings. The goal is for your house to look homey as opposed to abandoned. At your Open House, we're doing well if we're engaging the buyer's senses. To counteract darkness is critical and we'll open curtains, and add lighting where needed to invite the buyer inside. Together we'll enhance the air of the house with enjoyable music playing softly and assure a nice aroma circulates from every room. We'll include cozy-looking bedspreads, and place pillows on your chairs and bedding. Buyers should feel like your current house is their future home.